You can see it in your mind—that beautiful new custom-built home with your soul and vision written all over it. From vaulted ceilings and skylights, to granite countertops and bay windows, your ideas are what matter. You have a plan, and know what you want. Now, it’s time to make it happen. Why choose Lake Michigan Credit Union? 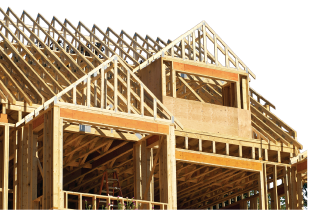 Build with confidence, backed by the strength of West Michigan’s largest locally-headquartered financial institution, and guaranteed low fixed and adjustable rates. Your new construction loan will merge seamlessly with your final end mortgage, saving you time, paperwork and money. If you’ve got big plans, build with Lake Michigan Credit Union. Contact any LMCU branch, call (616 or 800) 242-9790, or go online to lmcu.org today for all the details.